A light week of action, especially in the PDL, during Week 5 in the Texas high level amateur soccer leagues. 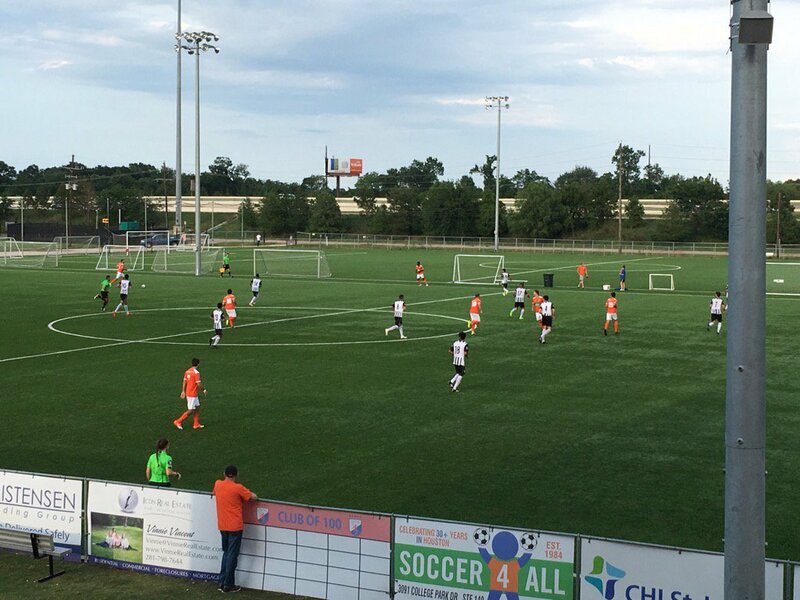 Dutch Lions secured a 4-1 victory in their home opener and took a commanding lead after the first leg in the Houston city NPSL Derby. A 19th minute goal by Yinka Lawa and a penalty by Jose Pablo Cova in first half stoppage time allowed Dutch Lions to take a 2-0 lead into the locker room at the half. Dylan Armstrong finished off the scoring with a second half brace in the 80th and 82nd minutes to ice the match and leave the Regals with an uphill battle in the second leg later in the season. Picture of game action from the Dutch Lions Twitter Feed below. A 6th minute goal by Papa Abdoualaye Faly opened scoring and Dallas City FC never looked back, winning 4-0 in Northwest Arkansas. Goals by Zachary Adler in the 49th, Sergio Lara in the 60th and Luiz DeSousa in the 66th completed the rout. Ft. Worth, behind two second half goals, came from behind to beat the Sockers 2-1 last night at Fort Worth Arlington Heights High School. Martin Field, Ft. Worth’s normal facility was flooded and a last day change of venue was required. Ricardo Palomino’s 37th minute goal put the Sockers in the lead before the break. In the second half, midfielder Jamie Lovegrove took over for the Vaqueros, assisting on Harris Partain’s 70th minute goal and then scoring the game winning penalty himself in the 86th minute. Goals by forwards Lucas Pereira in the 13 minute, Leandro Cid Fernandez in the 34th and Jacob Cunningham in the 80th led the Rafters to a 3-0 victory in Tyler against the winless Kings Saturday night. 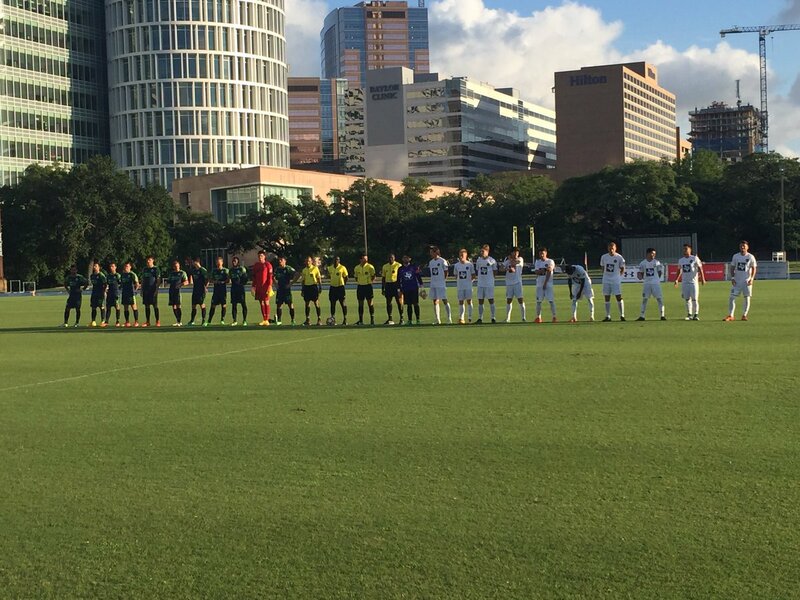 Three goals in the final 30 minutes by the Energy U23’s secured a convincing 3-0 win over Houston FC at Rice University in Houston Friday evening. OKC Energy only outshot Houston 13-11, but made the best of their opportunities. 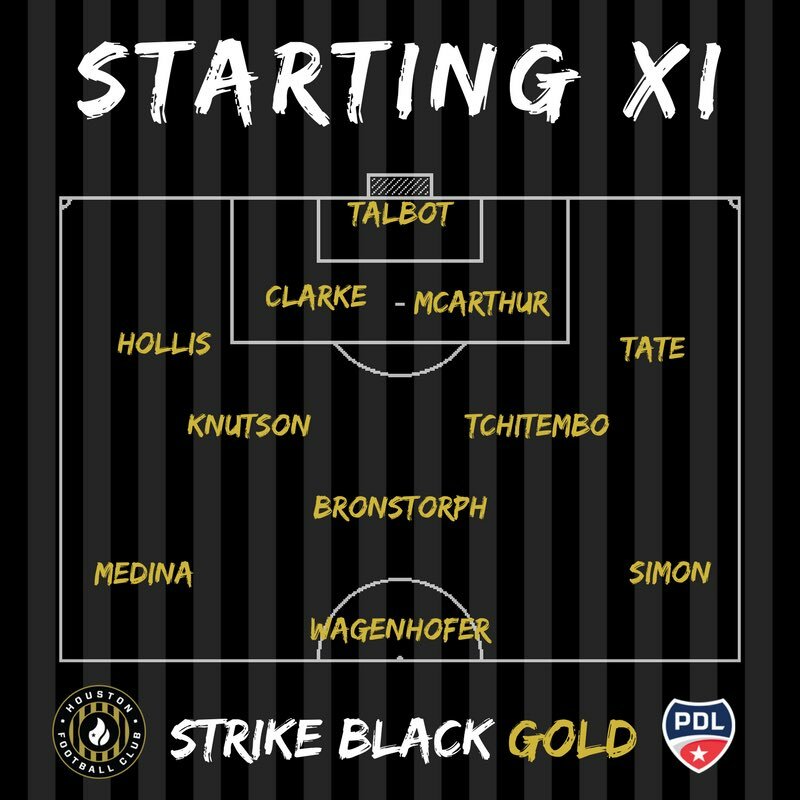 Pictures and lineup from the Houston FC Twitter page.